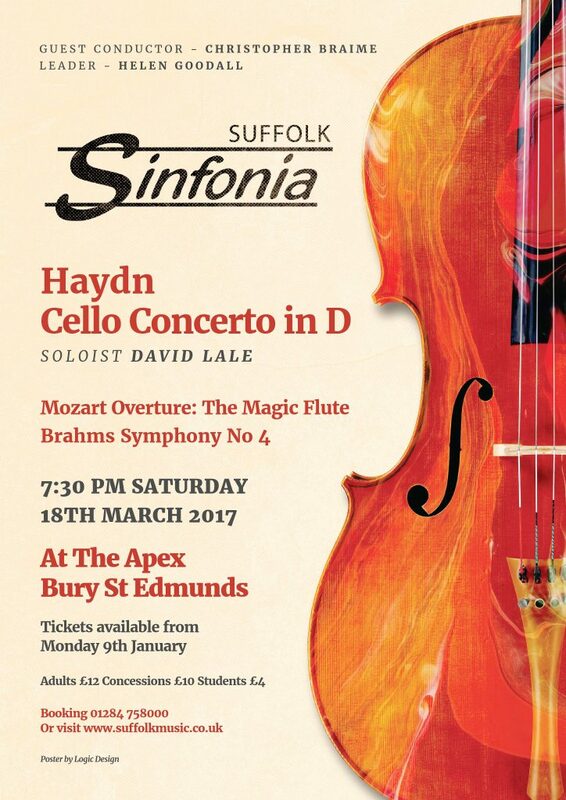 Bedfords are proud to support the Suffolk Sinfonia who are performing at The Apex in Bury St Edmunds on Saturday 18th March. Notwithstanding that our very own Emmerson will be part of the Double Bass section, the programme is a variety of beautiful music – the Cello Concerto in D Major by Haydn, including soloist David Lale, and The Magic Flute overture by Mozart and the beautifully written 4th Symphony by Brahms. There are a few tickets left, so why don’t you join us and immerse yourself in fabulous music played by talented musicians in an award-winning venue.